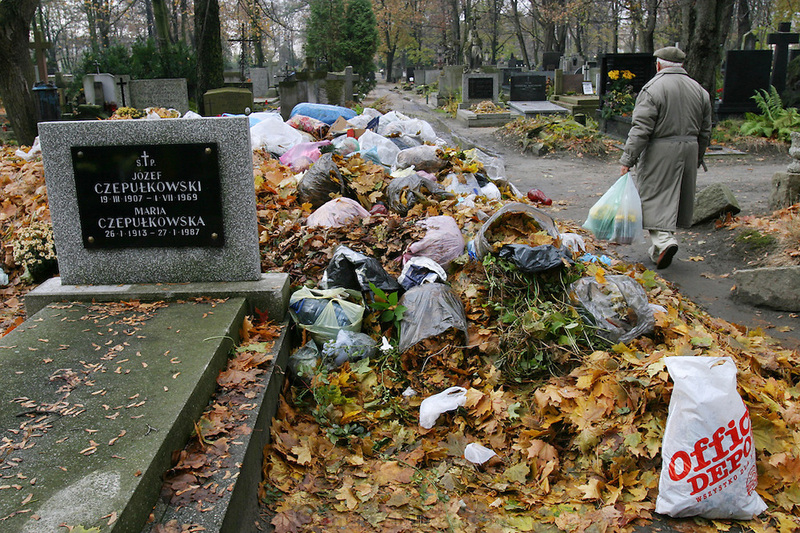 Piles of leaves and trash as the graveyard is cleaned preparing for All Saints Day. Powazek Cemetery. Warsaw, Poland.